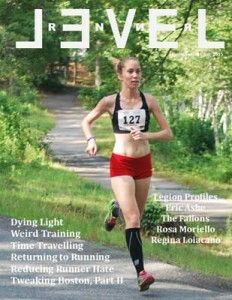 Level Renner is carrying my two-part article on suggested improvements to the Boston Marathon registration process. 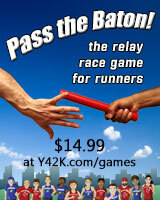 Part two, ideas for the charity runner side, is in the Sept/Oct issue, which was released today. Below you’ll find part one, a discussion of the process for qualifiers, that originally appeared in the July/Aug issue (with some updates since then). You can read Part Two, on registration for charity runners, here. And you’ll find another update, written after the BAA announced the cutoff for the 2016 marathon, here. The current Boston Marathon registration process, after the changes made over the last few years in response to the increased demand by time qualifiers for the limited number of entries, has to be considered a success. Everyone who runs a BQ time may not be able to get a number, but at least they have the chance to apply. Unfortunately, some qualifiers still don’t make the cut. Since the most recent change to the qualifying standards, the effective cut-off has been only a minute or so under the nominal standards. The BAA can’t do much better than that. Even so, that minute represents something like 3000 qualifiers each year who apply but don’t get in the race. 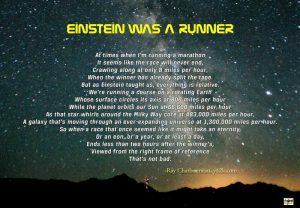 Some of those runners, if they had known, might have run another marathon in an attempt to improve their time. Another issue is the calendar. Under the current schedule, registration closed before most of the fall running season. Runners who qualify in fall races have to wait more than a year and a half before they get to run Boston. A simple solution to part of the problem would be to lower the qualifying times until everyone who meets the qualifying standard is guaranteed to get in. However, that would mean unfilled entry slots, and no one wants that. You could add yet another process to fill the unused slots, but that would add to the complexity and possibly the arbitrary nature of the system. Registration for Boston qualifiers has two purposes: first, to fill up the spots allocated to time qualifiers, then to fill those slots with the fastest possible runners. Now suppose we eliminate fixed BQ times. Instead, registration is open year-round. There’s a deadline, but that could be any time – near the current effective deadline of early October of the year prior to the race, perhaps, but maybe another date, one that comes after the fall marathon season. December 31, for example. Anyone can register at any point in the year by submitting an application which includes their finish time from a marathon run on a certified course, along with a credit card number. At the beginning of the qualifying year, the BAA posts how many time-qualifier slots are available. As the year progresses, the BAA tracks how many people submit applications, and posts the current number of unfilled slots online. While there are still open time-qualifier slots, anyone can register with any finishing time (under the six-hour limit for the race, of course). If the time-qualifier slots aren’t filled by the deadline, everyone gets in, even (for example) 25-year old men who submit a time of 4:30. BUT… If, as is likely, the time qualifier slots fill before the deadline, the BAA replaces the online application count with a web page that shows the slowest time from that year’s current application pool. Going forward, any new applicants have to have a faster finishing time than the current slowest qualifier. As more people apply, the earlier applications with the slowest finishing times are cut from the pool of qualifiers and the posted cutoff time gets faster. Finally, the deadline arrives and the field of runners is set. Of course, if we hand out entries solely by raw finishing time, the field will be dominated by young males. If we want to continue to handicap qualifying times according to age and gender, the BAA could continue to use the existing qualifying standards for the various age groups, and track the changing cutoff relative to those, similar to how things work now. Alternatively, the BAA could use age-graded results to place everyone along a single continuum. Age-grading gives every runner a score based on how they did compared to a curve representing the world record time for each age and gender. Under this model, the BAA might want to post a link an age-grading calculator and age-graded equivalent times for men and women at a variety of ages to help people understand the current cutoff. For example, suppose the cutoff point was a 29-year old man who ran the current BQ standard for that age and gender, a 3:05. The nominal world record for that age/gender is 2:04:55, so our runner scores at 67.52%. To beat that score, a 45 year old woman would need to run under 3:20:33, while a 70-year old man would need to surpass 4:11:36. Either way, the process of qualifying by time for Boston becomes more transparent. There’s still uncertainty about the final cutoff, but the process of discovering it is open and visible to all who are interested. Some of the runners who don’t make the cut will find out early enough to give them an opportunity to try again if they choose. And the year-round updates would drive continual interest in qualifying, and in the Boston Marathon. A few short years ago, none of this would have been possible. Now that marathon registration has moved online, with a few tweaks the BAA can improve the registration process and enhance year-round interest in the race by embracing registration’s competitive essence, taking steps to extend it, and making the entire process open and public. It’d be like someone who’s already a Boston Qualifier making some small changes, trying a few new things in training, and suddenly finding that they’re able to run sub-3:00. 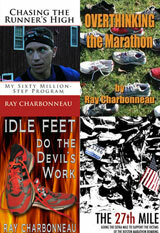 The Boston Marathon has a long and storied history and many rich traditions. In recent years the BAA has been more willing to implement changes to improve the quality of the race and include more and more runners, while still respecting the core of those traditions. Why not give this plan a try?